On a Wednesday morning at the Élysée Palace only a few days into the New Year, French President Emmanuel Macron announced plans to combat fake news. There is significant merit to both the principle and the substance of the proposed law. However, the young leader walks a very thin line, where the unannounced details of his plan could make the difference between democracy’s defense or its erosion. The new law would only take effect during election campaigns and would be aimed at monitoring and curtailing political advertisement on social media. It would even enable judges to block or remove content online, ranging from individual accounts to entire websites. Macron’s move is not surprising, given that his 2017 presidential run was marred by deliberate misinformation. For instance, some stories declared results days before the final votes were tallied, while others falsely linked Macron to a secret offshore bank account. Of particular worry to the president is misinformation stemming from foreign governments. 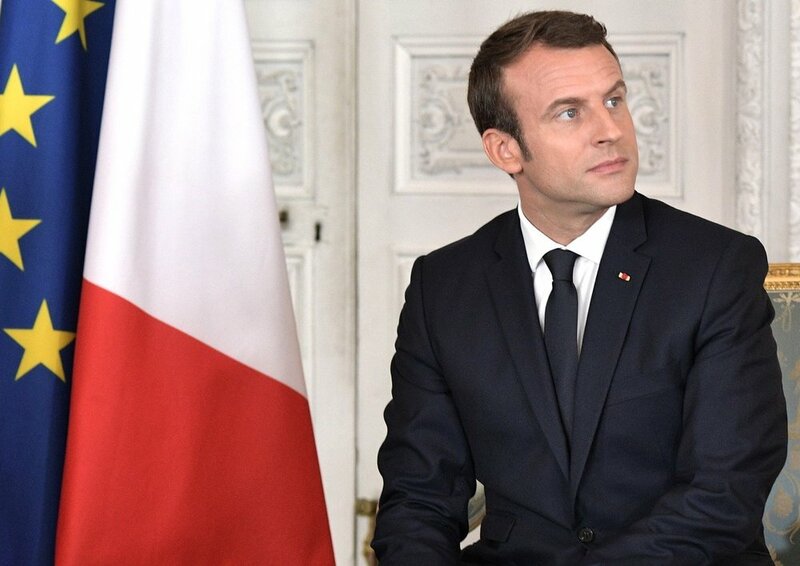 Macron has previously singled out Russian state-owned news sources Russia Today and Sputnik as “agents of influence and propaganda.” He has since banned these sources from reporting at campaign events and has made their access to the government exceedingly difficult. Macron is right to worry. “Weaponized” disinformation has been a pillar of Russian policy since the Cold War, and has seen a recent resurgence under Putin. Its aim has been to create division and distrust within Western international organizations. From deliberately false information about NATO in Sweden, to the skewed support of anti-EU parties throughout the continent, this tactic varies in the severity and type of truth’s mishandling. Russia is wielding information like a sword, and Macron is seeking a shield. However, many have raised legitimate concerns about these proposed new measures. The most obvious criticism surrounds the potential for error and abuse. A second criticism argues that governments are poorly placed to address the issue. Regarding the former, the concern is not that censorship of deliberately false information would be a blow to free speech. Such information contradicts the aim of speech itself, namely, the discernment and dissemination of truth. Rather, there is the potential that the law may be used to harm legitimate sites. Germany learned this the hard way when their new efforts to censor online hate speech ended up censoring a comedian’s satirical Twitter post. An even worse possibility than human error is deliberate abuse. Even assuming Macron is not the sort of leader to overreach (too hasty an assumption, I would add), one has to imagine these tools in the hands of other leaders - perhaps even those who benefit now from the influence of misinformation. Of utmost importance, then, in any attempt to police fake news is a narrow and clear definition of the phenomenon, which establishes a high standard for attribution of the term. Its easy to see why a rigorous definition is critical when one considers the rapid obfuscation and appropriation of the term, especially as performed by many world leaders. World dictators and authoritarians have used the term simply to shut down criticism of their regimes. From Assad in Syria to Duterte in the Philippines, ‘fake news’ has become a favoured pejorative for unfavourable journalism. The same can be said for Donald Trump, whose incessant application of the phrase to the mainstream media has done permanent damage to discourse surrounding the recent shifts in the political landscape. A law which poorly defines the concept could give institutional power to similar autocratic tendencies. The second criticism of Macron’s plan, that the government will be ineffective in its role, has some merit. As some have argued, the discrediting of certain stories may counterintuitively attract more interest in their content. Furthermore, social media giants may be able to develop tools far better at tackling the issue, such as Facebook’s new approach whereby the surrounding environment of potentially fake stories is changed to present contradictory material. Nevertheless, these corporations cannot be relied upon to have democracy’s best interests in mind. When monetary success is measured in clicks, “the ‘search for truth’ is necessarily far down the list of priorities for the social network,” as Nathaniel Persily writes in the Journal of Democracy. Democracy is going to have to protect itself. Whether one agrees with his decision or not, Macron’s bold move is going to set a precedent. At its best, it could be a model for the successful maintenance of democracy in the modern world. At its worst, it could be a model for the subversion of free speech, or further fodder for obscurantist influence.